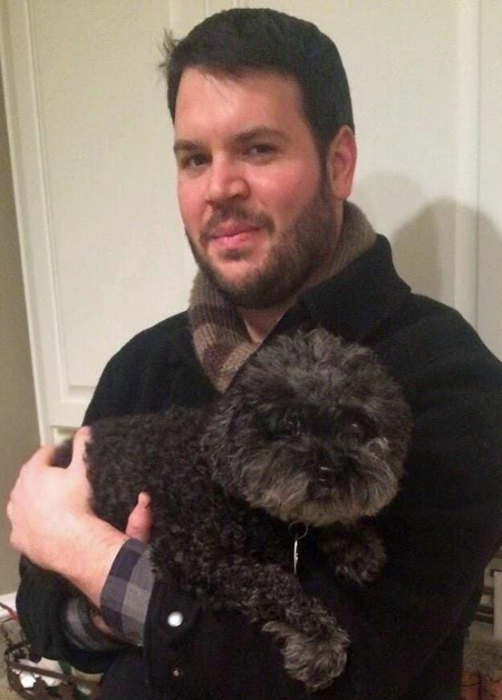 Owen Philip Grabo, loving son, brother, father, and friend to many passed away suddenly on Saturday April 6, 2019. Owen was born July 20, 1983 to Jim and Kathy Grabo in Fort Walton Beach, Florida. Owen was the youngest of three brothers. Owen, Seth, and Josh were as close as any siblings could be. Their bond was unbreakable and their love for each other immeasurable. Owen was an incredibly talented musician, and played bass and drums in several bands including Twothirtyeight, Gileah and The Ghost Train, The Letter Jackets, NPD, Clifton, King Cobra, and Tarantula. Owen also spent several years playing drums on the worship team at Covenant Community Church. His love for music, especially the music he created with those he loved, was at the center of his heart. You could feel something when Owen played. You could feel him. Owen was more than a talented musician, he was incredibly smart and spent most of his life as a network engineer working for companies like Microsoft, Sacred Heart, and CRC Data Technologies. His talents were sought out, and he was able to do things that no other engineer could do. His family was so proud of everything Owen achieved and you can always find at least one of us bragging about him. More than any of these things, Owen was a loving and amazing person. He had a huge, kind, and gentle heart and would do anything for his family. He took care of his father Jim through his illness, and his mother after his father passed. He was always there for Seth and Josh, whenever they needed him. He was a wonderful brother-in-law to Savannah Grabo, and the best uncle to his nephews Francis and Atticus. Owen’s son River was the love of his life. Owen loved to watch River play, and his face would light up whenever he saw him. Finally, Owen was a loving partner to his girlfriend Katie who he spent the last 7 and half years with. Owen and Katie weren’t just a couple, they were best friends. They loved cooking, and watching Seinfeld, and taking their furbaby, Jimmy, to wherever they could. Owen is and forever will be a light. He will be missed so dearly by those he loved and those he touched. Owen is survived by his mother, Kathy Grabo; his girlfriend, Katie McCumber; his sister-in-law, Savannah (Jureczki) Grabo; his nephews, Francis and Atticus Grabo; his son, River Magallan; his grandfather, Irvin Morris; his uncles Keith and Craig Morris; his cousin, Allison Weites; and a loving extended family. He is proceeded in death by his father, Jim Grabo; brothers, Seth and Josh Grabo; his grandmother, Sue Morris; and his grandparents Francis and Frances Grabo. Donations can also be made to the Human Fund “Money For People” care of George Castanza. Just kidding. Owen loved that joke.